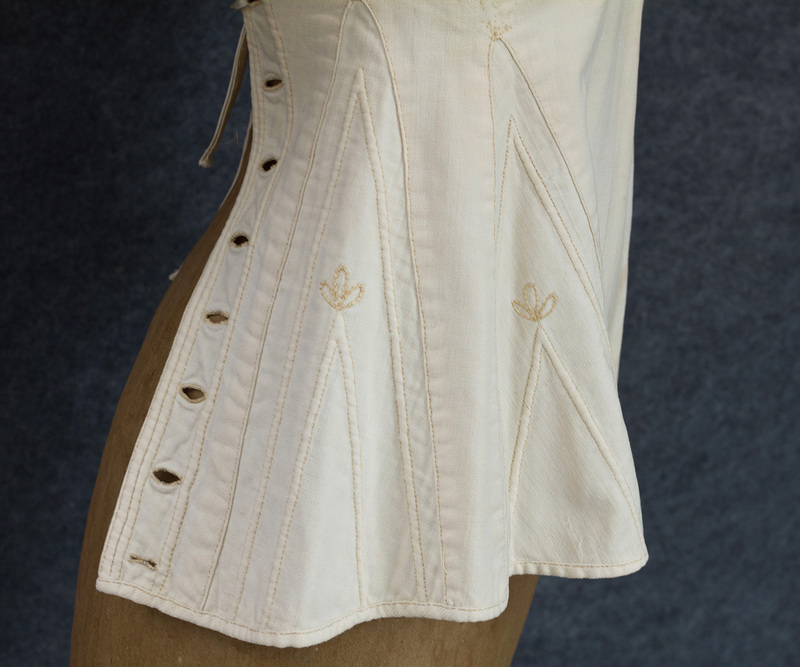 Made from ivory cotton, the corset is shaped with godet inserts outlined with trapunto cording. 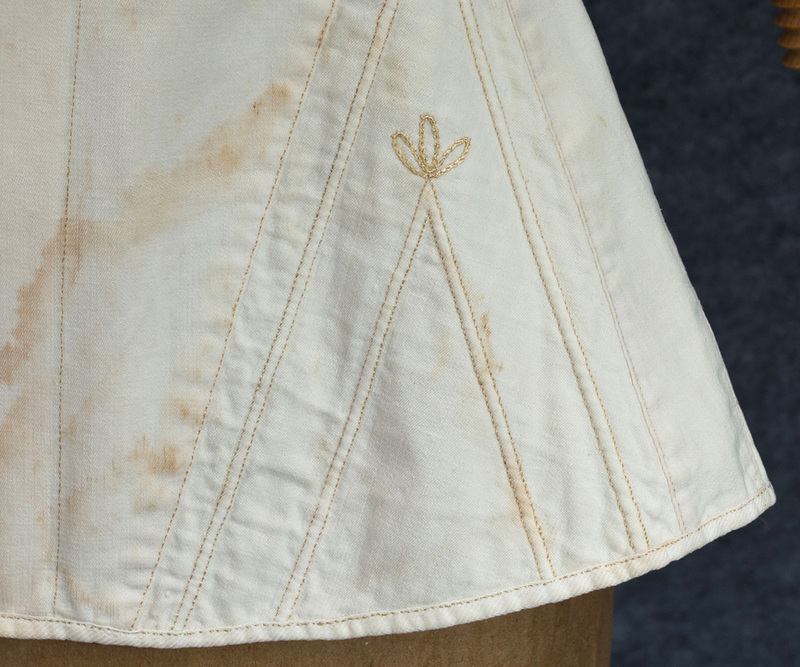 In this technique, the design is outlined with rows of running stitches and then padded from the underside, creating a raised effect. Trapunto turns soft cotton fabric into a three-dimensional sculpture. Trapunto work first appeared in 14th century Sicily and was widely adopted for clothing in Tudor England. Trapunto was then brought to America by the new settlers. 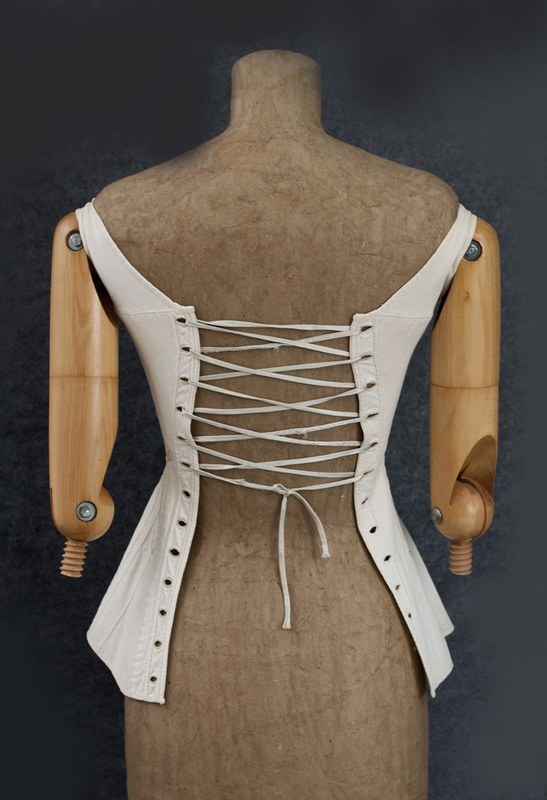 Always considered very elegant, this technique produces a shapely corset, softer and more comfortable to wear than one made with whalebone or metal inserts. 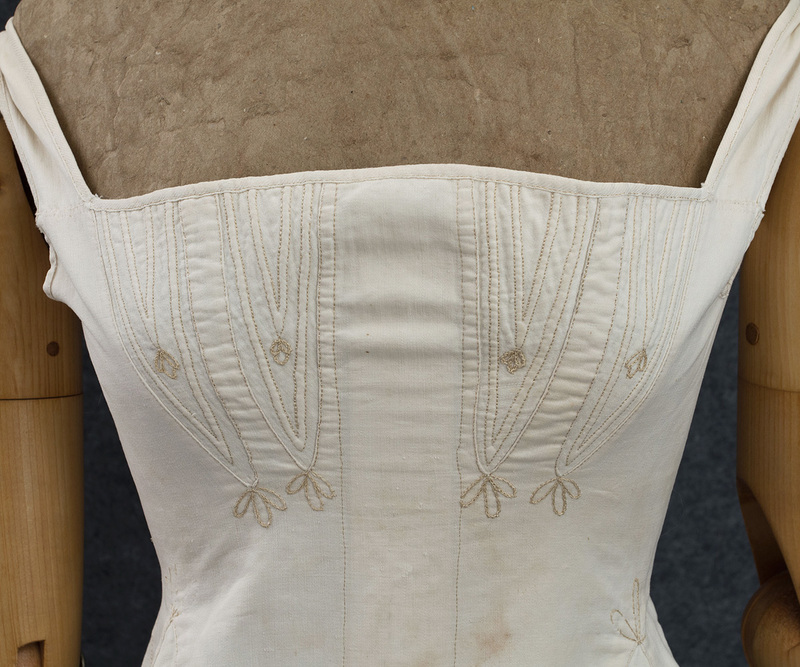 In addition to cording, the corset is embellished with hand-embroidered flowers. The long pocket at the center-front was used to inert a busk. Made from ivory or bone, the busk was typically carved and decorated, sometimes with a message of endearment from a suitor to his sweetheart. 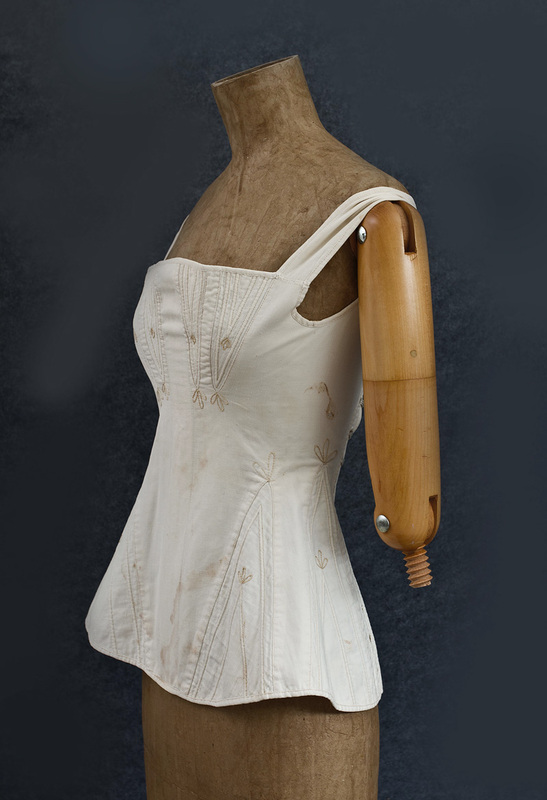 Thus the busk was often more valuable than the corset itself and rarely remained in place. 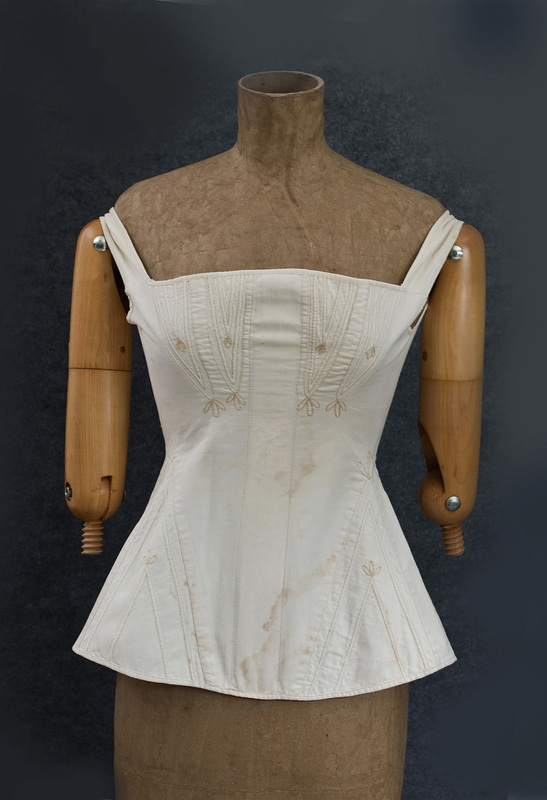 Our corset holds a stiff cardboard facsimile of a busk, inserted in the center pocket to show the correct shape for display. 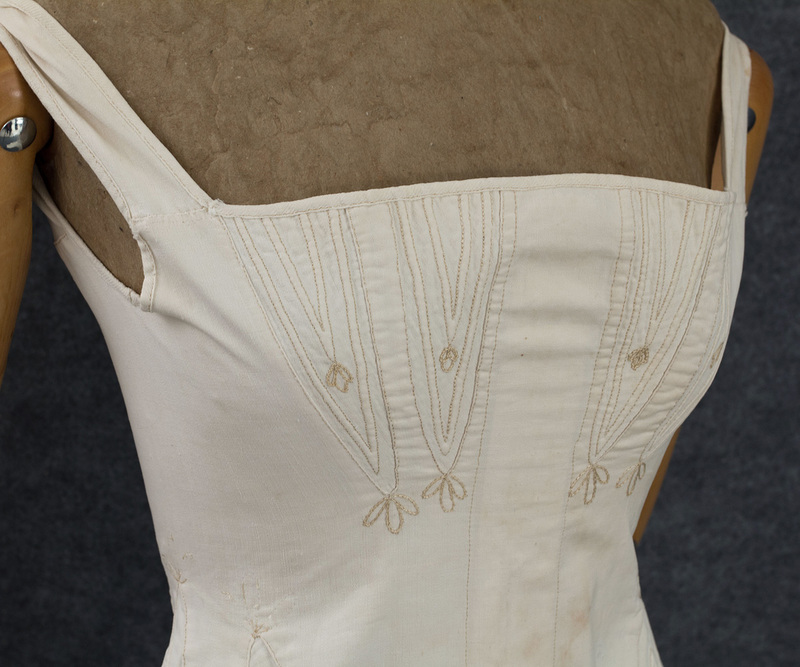 The corset has hand-stitched eyelets in back for lacing. 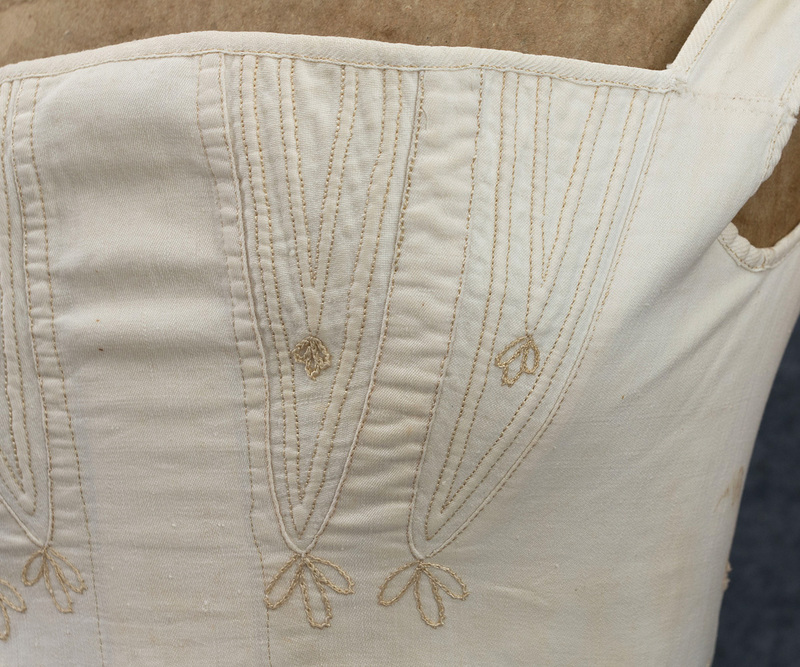 The original lacings are missing. The condition is almost excellent. There are a few pale stains. It measures: 30" bust, 18" waist, 40" bottom circumference, and 17" center-front length. The small size indicates that it likely belonged to a young girl.